Nobody wants an eBay transaction to deteriorate to the point where the buyer is considering filing a dispute with her credit card issuer for a purchase that hasn't satisfied her. It's often a lose/lose situation. eBay doesn't want to see it happen because it can create problems with its balance sheets and with the PayPal payment system. 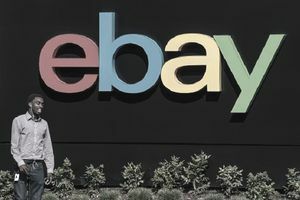 It damages both eBay's reputation and its relationship with credit card issuers. eBay has gone to the trouble of creating programs like the buyer protection program that mediates disputes with sellers to try to avoid such situations. Sellers don't like disputes because dealing with credit card chargebacks can be serious business. For a buyer, it might be a matter of one purchase that didn't go well, but for the seller, it can potentially mean the end of her business or even a frozen bank account. Buyers should also be wary of credit card disputes because they can take a long time to resolve and are something of a hassle compared to the processes in place on eBay. There are times, however, when you're just not satisfied with the way things have worked out and you begin looking for other options to pursue. The law is actually on your side here, at least to some extent. The Fair Credit Billing Act (FCBA) gives consumers certain rights when their purchases are for more than $50. They can actually sue their credit card company for dropping the ball when the company makes a bona fide mistake in handling a dispute—something lenders want to avoid at all costs. Your lender will step up to the plate to help you as much as possible. The lender—that is, your credit card company—is your ally here. The FCBA also imposes some responsibility on you as the consumer. You must make a good-faith effort to cooperate in straightening out the situation. You can't simply refuse to pay the portion of your credit card bill that represents the sale in question. Well, you can...but that remaining balance on your credit card will linger from month to month and keep accruing interest, costing you even more money on top of your disputed charge. The most important factor when involving your credit card company is to first be sure that you did indeed make your payment through Visa, MasterCard, American Express, Discover/Novus, or another major credit card payment system. Debit transactions, "instant bank transfers" of the sort that PayPal offers, and e-checks are not eligible for this kind of protection. Find the credit card you used and get the company's phone number. You'll likely need the credit card number as well, the expiration date, and other identifying characteristics for the card. Call the customer service number. You can usually find it on the back of the card. You'll probably reach an automated system, so choose the option to talk to an actual human or do what you can to get transferred to a real person. Sometimes you can achieve this by experimenting with combinations of "0" and "*" on your phone, or by hitting "0" repeatedly. Explain that you'd like to dispute a charge. When you're asked whether the activity is fraudulent, tell them no: that you made the purchase and your card wasn't stolen. The problem is that you haven't received what you paid for. Give the details when asked. The card issuer will likely want a fair bit of information that can take some time to provide. Follow along with the questions and give your side of the story. Follow up periodically as the case progresses. In general, the card issuer will issue a "provisional" credit back to your card for the purchase amount. The card issuer will presume that you, its customer, are in the right. Then it will proceed to investigate the claim, getting the seller's version of events, as well as comments from eBay and PayPal before rendering a final decision. This whole process can take anywhere from days to months. Credit card issuers are generally much more thorough and much more attentive than eBay and PayPal, so when eBay buyer protection doesn't work in your favor, you might still have a good chance with the credit card company. You'll want to keep a few things in mind if you want to win your case. Have all the details ready and at your fingertips. Don't call until you have the purchase date, purchase amount, seller ID, item listing, arrival date, and the make and model of the item right there in front of you. Your ability to quickly, confidently, and factually answer any and all questions will go a long way toward success. State unequivocally that you did not receive what you paid for. Say something definitive like, "The item was clearly defective when it arrived, and it is nonfunctional at this time," or "I did not receive the item that I saw pictured in the listing." State your willingness to make an exchange in lieu of a refund. Credit card issuers don't generally deal in exchanges. They're in the business of deciding to credit you back. But they tend to look more favorably on buyers who say things like, "I'd be totally happy with an exchange, All I want is to get what I paid for at the price I already paid." The most important thing to remember when filing a credit card dispute is that you're dealing with a business that's in the business of enabling business transactions. You should be businesslike as well. Be cool, calm, and collected. Don't get angry or emotional. Just let the card issuer know that you want a refund or an exchange because you didn't get what you were expecting to receive and what you fairly believe you're owed.